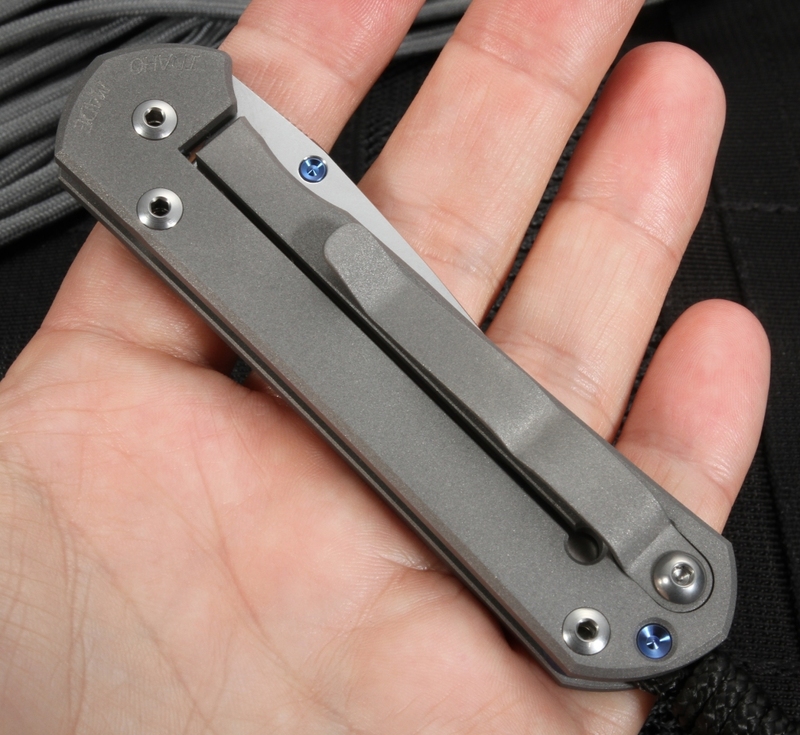 The Chris Reeve Sebenza 21 is the standard hard use tactical folder. 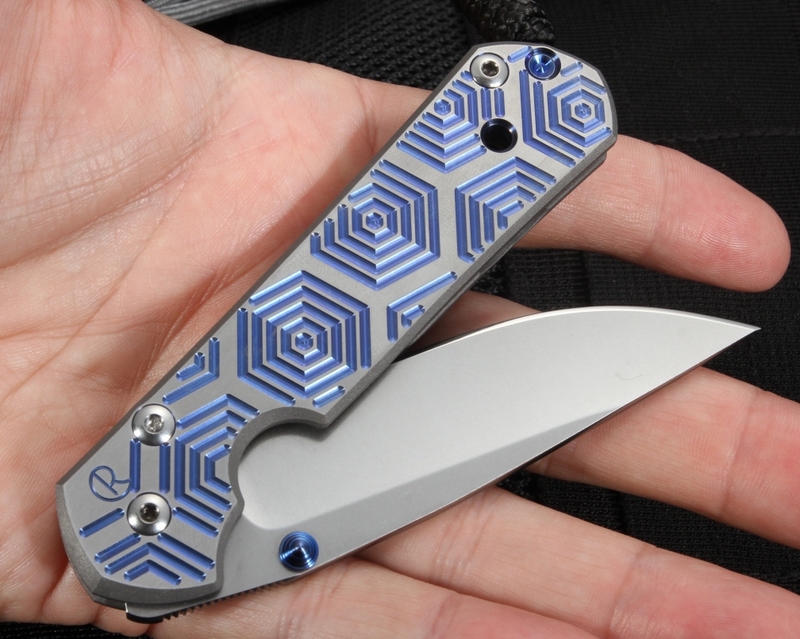 This one has extremely attractive machining on the handle, in Chris Reeve's Hex Blue design. 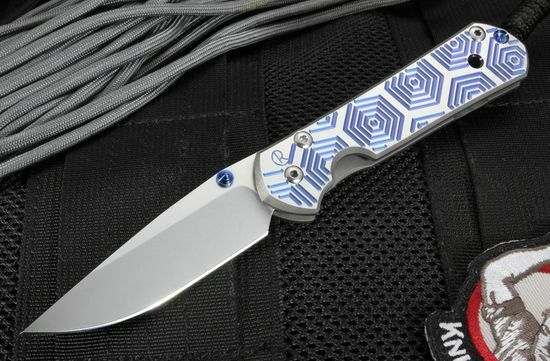 Anodized colors on the handle make this Sebenza stand out from the rest. Popular drop point blade shape with razor sharp hollow grinds. 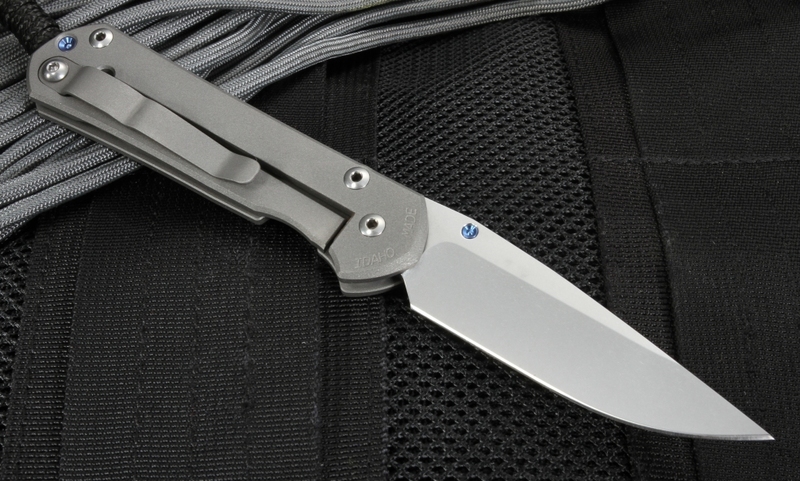 Refined design, high-performance construction are all part of this folder. Titanium pocket clip mounted for tip up carrying. 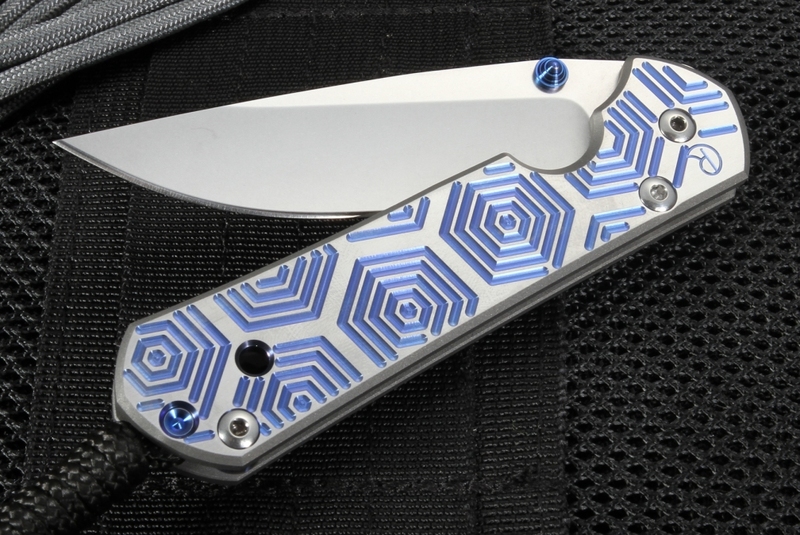 Blue anodized titanium thumb stud on the blade for easy opening. Jimping on the thumb rest of the blade spine for increased handling. Light for it's size, due to the titanium construction. Very strong integral locking mechanism that Chris Reeve pioneered. Feel the difference in the quality of a Chris Reeves knife.